Beijing 2022 today launched a global design competition for the mascots of the 2022 Olympic and Paralympic Winter Games, inviting people from around the world to come up with original designs for these important ambassadors of the Games. At a ceremony held in Beijing’s Olympic Park, Secretary of the CPC Beijing Municipal Committee and Beijing 2022 President Cai Qi declared the design competition officially open. Mascots are among the most memorable symbols of the Olympic Games and Paralympic Games. Beijing 2022 looks forward to receiving creative design proposals from across the globe that embody Olympic and Paralympic values, affirm the vision of the 2022 Games, and reflect Chinese culture. Designers could submit proposals to Beijing 2022 from October 20-31, 2018, in person or by mail. Beijing 2022 is expected to unveil the winning designs in the second half of 2019. The launch ceremony for the design competition was held as part of an event to mark the 10-year anniversary of the Olympic Games Beijing 2008. The anniversary celebration also coincided with China’s 10th National Fitness Day, providing a fitting setting to look ahead to Beijing 2022 while celebrating the legacies of Beijing 2008. The ceremony and the celebrations took place in the plaza between the “Bird’s Nest” National Stadium and the “Water Cube” National Aquatics Center. These two iconic Beijing 2008 venues will be used for Beijing 2022, serving as the opening and closing ceremonies venue and the curling venue, respectively. When the new school year begins in September, elementary and secondary school students across China will be encouraged to create their own mascots for the Games in art classes, as part of Beijing 2022’s Olympic Education Program to engage more youth. The medal design competition commenced in December 2017 and more than 400 designs were submitted by the public. A Tokyo 2020 medal design selection panel comprising a member of the Tokyo 2020 Brand Advisory Board, Olympic and Paralympic medallists and professional designers subsequently reviewed all entries and selected today’s shortlist. 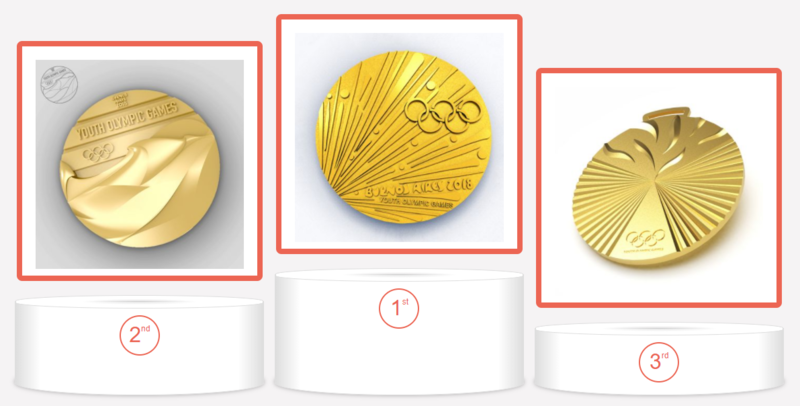 With the help of the designers, a manufacturing institution will create three-dimensional mock-ups of each medal design; one Olympic design and one Paralympic design will be selected in the summer of 2018. The new medals will be unveiled in the summer of 2019 together with specially commissioned ribbons and cases. In April 2017, Tokyo 2020 commenced the nationwide collection of discarded and obsolete electronic devices, in order to use the metal they contain in the production of medals – the first time such an innovative and environmentally-friendly approach has been adopted by an Olympic and Paralympic Organising Committee. As of January 2018, approximately 9,000 tons of discarded devices had been collected by municipal authorities across Japan, and more than 2.6 million used mobile phones had been handed in at NTT DOCOMO stores across Japan. 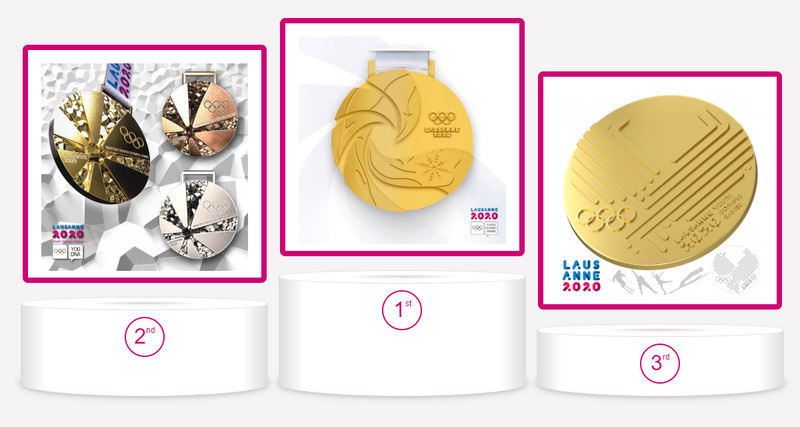 An update on the collection process is available at Tokyo 2020 Medal Project. Image: Website Buenos Aires 2018 Youth Olympic Games. Medal designs by Muhamad Farid Husen (1), Patrick Nair (2) and Damien Perrin (3). The Tokyo 2020 Mascot Design Competition was launched earlier this week. You can read the press release by Tokyo2020 below. Or visit this page for more information. The Tokyo Organising Committee of the Olympic and Paralympic Games (Tokyo 2020) today launched a competition inviting all residents of Japan to submit their own design proposals for the Olympic and Paralympic mascots. If you’re living in Japan, from today until Monday 14 August you can design your own set of mascots and submit these via the Tokyo 2020 website. So it’s time to let those creative juices flow and get designing – yours could be the winner! To mark the competition’s kick-off, Tokyo 2020 held a ceremony at Kuramae Elementary School in Asakusabashi in Tokyo today that was attended by over 200 excited schoolchildren. At the event, four-time Olympian Ai Sugiyama and three-time Paralympian Aki Taguchi mingled with the children and shared their stories and experiences of being athletes and competing at the Olympic and Paralympic Games. In May this year, Tokyo 2020 announced a cool new method they will use to select the winner of the design competition. A Tokyo 2020 mascot review panel will select a shortlist from the submitted design sets by the beginning of December, and schoolchildren at every elementary school across the country, including international schools, will be able to cast their vote and select their preferred set of designs. Tokyo 2020 will select the design set which attracts the largest number of classroom votes and announce the winner in March 2018. 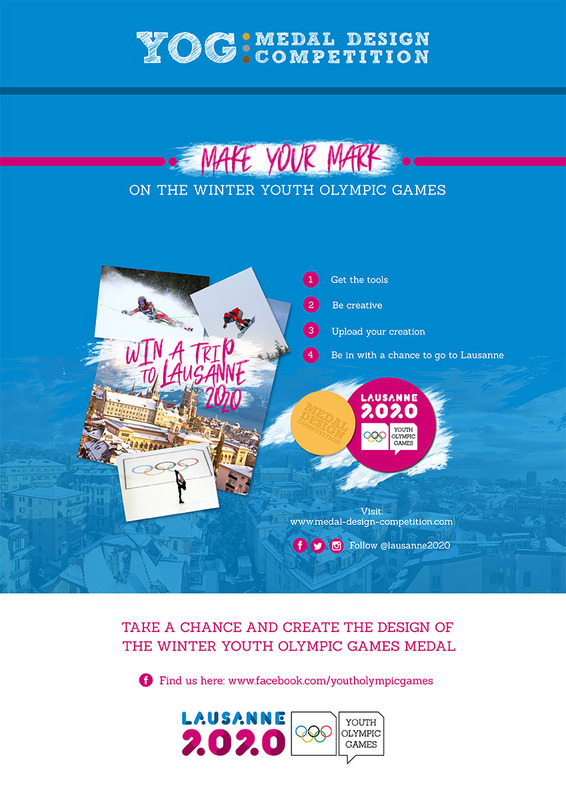 It will be a great way to directly involve young people in the Games’ preparations! At today’s event, children counted down to noon, and as chairperson of the Mascot Selection Panel Ryohei Miyata beat a ceremonial gong, they cheered the announcement that the design entry website was now open. Two cheerleading squads performed in front of the schoolchildren and guests to celebrate the occasion. Tokyo 2020 Mascot Design Competition will be Open to the General Public and Elementary Schoolchildren will Select the Winners! The Tokyo Organising Committee of the Olympic and Paralympic Games (Tokyo 2020) has today announced its plan to have the Games’ official mascots decided by means of a national competition. Members of the public in Japan will be invited to submit mascot design proposals, following which a shortlist of designs will be reviewed and voted on by elementary schoolchildren across the country. Did you know that mascots are a very popular element of modern Japanese culture? They are usually created to promote a particular region, event or business, and are often used by local governments or other organisations to stimulate tourism and economic development, or by companies to promote their corporate identity. All residents of Japan will be invited to submit their personal mascot designs through Japanese- and English-language websites. A “creative brief” with a comprehensive set of design guidelines and criteria is being made available for applicants, who will need to submit designs for both Olympic and Paralympic mascots. A Tokyo 2020 mascot review panel will select a shortlist from the submitted design sets, and this will be reviewed and voted on by elementary school classes nationwide. Tokyo 2020 will select the design set which attracts the largest number of classroom votes.